In Portomaso, one of the best areas to stay in Malta, and where the Hilton Malta is located, there is such an amazing variety of restaurants. The lure to eat out becomes even stronger. The Hilton Malta sits quite comfortably in this excellent dining environment, with several quality restaurants. 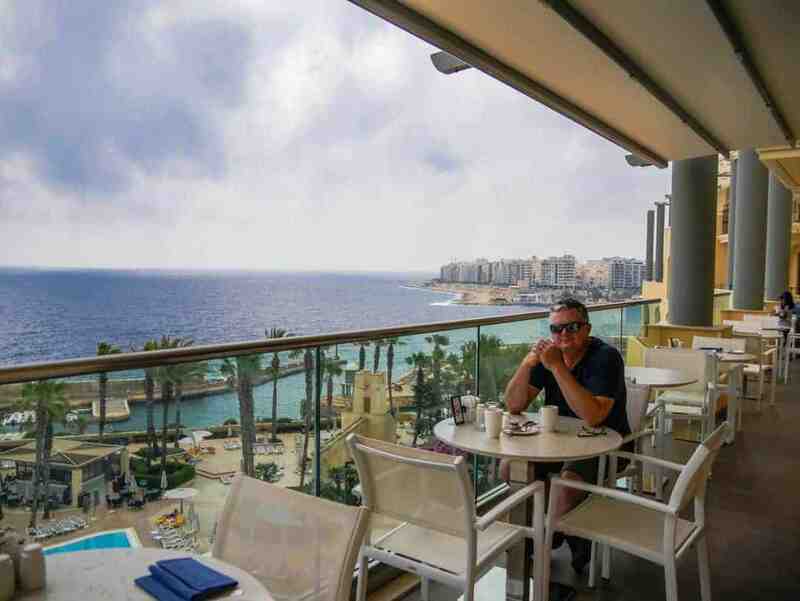 As I mentioned in my previous article, the Hilton Malta attracts a regular group of visitors who love being able to get everything they need without having to leave the resort. Aside from eating breakfast here each day of our five day stay, we also tested out two of their main restaurants and spent some time at various parts of the day in the executive lounge. If the food from the Hilton Malta is all you ate during your stay, you’d be very pleased. I would recommend however getting out into the local area to sample their food as well. 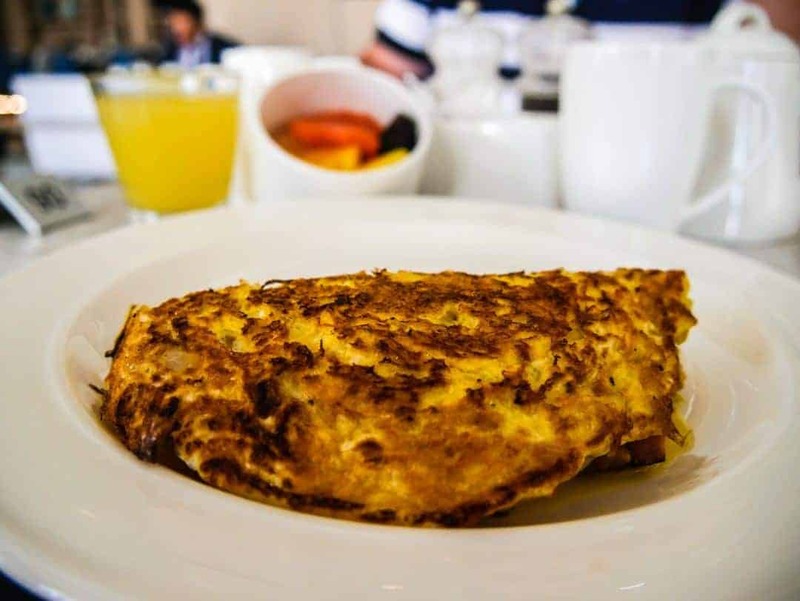 Located on the ground floor of the hotel, the Oceana Restaurant occupies a large floor space, catering for the high number of customers who descend on it for the full range buffet breakfast each morning. With tables indoors and poolside, it offers a location for everyone to enjoy the beautiful Maltese weather. Offering a fresh and modern take on Mediterranean cuisine, it also opens for lunch and dinner. On popular holidays bookings are essential, likewise for the Sunday buffet lunch which is heavily patronised by locals as well as guests. My favourite part of breakfast each day was getting to hang out with the egg chef. He was a delightful man, always happy and ready to cook your personal egg requirements. From omelettes to scrambled, fried to poached, he cracked eggs and whipped up egg concoctions in a matter of minutes. On my second visit to his egg bar, he was ready to cook me an omelette, remembering me from the previous day. Alas, I get really bored eating the same thing for breakfast every day, so my changing order kept him guessing. Two eggs or one, fried sunny side up or flipped, with a range of ingredients or keeping it simple, the egg bar provides guests with a hearty start to their day, the way they like it. There are no bain-maries of eggs that have been sitting around for too long. They are cooked to order, just the way we like it. The buffet is extensive and caters for guests who have dietary issues and intolerances. There are a wide variety of healthy options, cold meats and salads, cheese, bread, pastries and cereals. A smoothie machine lets you make up your own brew and iced coffee is also available for those who prefer something a little colder in this warm climate. A staff member will seat you at a table of your choice, and tea and coffee will be brought promptly to your table. The coffee is served in a pot large enough to pour several cups and teapots are used as well, which is a nice touch. The buffet allows for self-service which gives you all the control for the pace at which you want to start your day. Whether you need a quick bite to eat before you get out and start your day or a leisurely, relaxing one, Oceana has got all bases covered. On a balmy Maltese evening, we took the opportunity to explore the Oceana dinner menu, whilst taking in the moonlit view of the pool. With the sun setting late here in summer, it’s the perfect place to drink a nice wine and watch the coastal breezes move through the palm trees. It’s what resort holidays are all about in my mind. We settled in with a bottle of local chardonnay. I couldn’t tell you the last time I drank chardonnay. Perhaps it’s just the Maltese label, or perhaps the unfashionable chardy has now improved, but it was delightful to drink. I’m partial (read addicted) to cheese and always take any opportunity I can whilst in Europe to eat anything that is fresh. My entree of fresh burrata was first class. I could have eaten this simply with some crusty bread. In this instance, however, I was lucky to have it paired beautifully with cherry tomatoes. Maltese honey and pistachios dressed the burrata, giving it a sweetness that was offset by the bitterness of the rocket and an olive brioche was the perfect vessel for scooping it all up to eat. The pan fried octopus arrived looking as though it was not long out of its native environment. Declaring it the “best octopus he had ever eaten”, my husband was happy he didn’t have to share the perfectly cooked tentacles with me. Cauliflower florets, roasted garlic, fresh basil leaves and a soya beurre noisette tied it all together. I love pork belly almost as much as I love cheese, so when I saw this on the menu I didn’t really need to spend much time searching out my choice of main meal. When it’s slowly roasted, or even better a confit, the excitement escalates. This one, a confit, melted in my mouth, but had the special crunchy crackling that we all look forward to when eating pork. Rabbit is a staple protein in Malta and its presence on menus is common. At Oceana, the rabbit is cooked sous-vide and presented in a modern way. 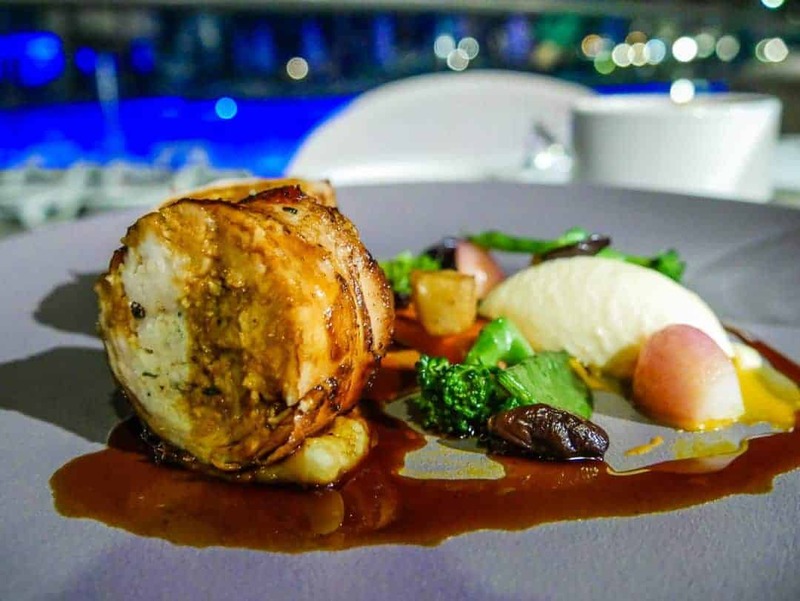 The rabbit loin was wrapped around a chicken and raisin farce, covered liberally with a sage jus and accompanied with seasonal vegetables and a smoked applewood cheese royal. It’s delicious, both in looks and taste, but I can imagine it’s the kind of dish a Maltese grandmother would scoff at, such is its fancy approach. Dessert was a true masterpiece. The chocolate fondant, which takes 20 minutes to cook from the time of ordering, arrived with a perfect, gooey centre reminiscent of flowing lava. An edible carpet of crushed chocolate biscuit and bright red swirls of raspberry sauce was the perfect accompaniment, as was the gianduia (hazelnut) ice cream. In a touch that could be seen as over the top or just pure delight, a white chocolate crusted popsicle covered a silky smooth raspberry mousse. I think my mind told me it was just a bit too much, having already eaten two courses. My stomach and my heart, however, told me that it was a fabulous dessert and commended me on my selection. Walking into the Blue Elephant requires a lot of attention. With one step inside the doors, you are instantly transported to a tropical paradise and enveloped with all there is to love about Thai culture. The Blue Elephant, now a chain of restaurants around the world, originated in Belgium. With the founder still heavily involved in operations, this business actively seeks out the freshest of ingredients and the best of staff. All chefs are trained at the Blue Elephant School in London, ensuring a consistent level of food across the globe. Staff are Thai and are happy to test out your knowledge of the Thai language, however rusty it might be. As is the case in Thailand, they are friendly and customer focused. Our night started off with a “Mai Thai”. A blend of fruity ingredients, it is not to be confused with the Hawaiian Mai Tai, another drink with which I am well acquainted. 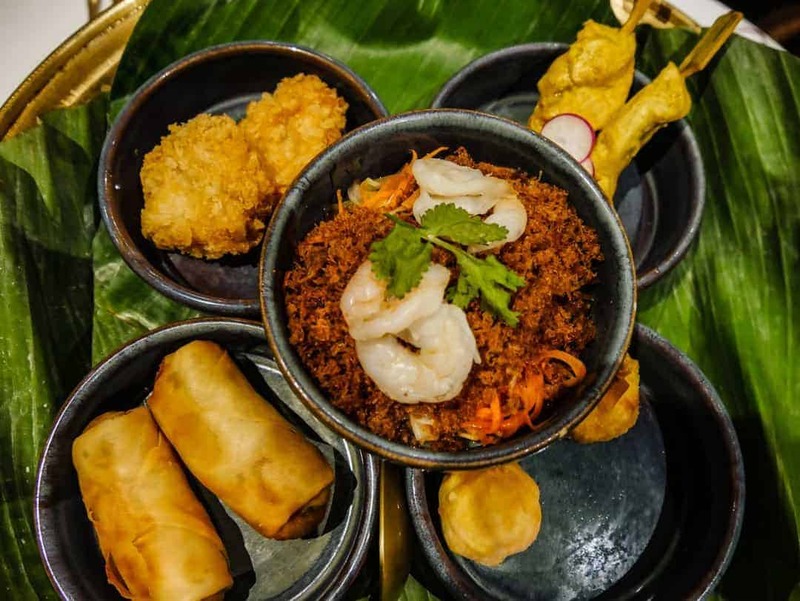 The menu at the Blue Elephant is extensive and caters for a range of dietary options, including vegetarian and for those with seafood allergies. For best results, always discuss with the restaurant ahead of time, Better still, discuss it when you make a booking, which is highly recommended at all times given the popularity of this restaurant. It is heavily patronised by both locals and guests, especially on weekends and special occasions. We enjoyed the banquet menu on this occasion, which was an absolute mountain of food. There was no way we were ever going to leave hungry. As I said, there was no limit to the food that arrived at our table. Below were the entrees that we devoured. These dishes were presented to us as part of the main meal. Soups are also an option prior to the mains being served but on this occasion, we declined. I had to decline something or else I would have exploded! Dessert was a simple ending to a wonderful meal, with a combination of fresh fruit, small cubes of cake, and ice cream being served. Visiting chain restaurants is not something that we normally do unless there is a good reason. 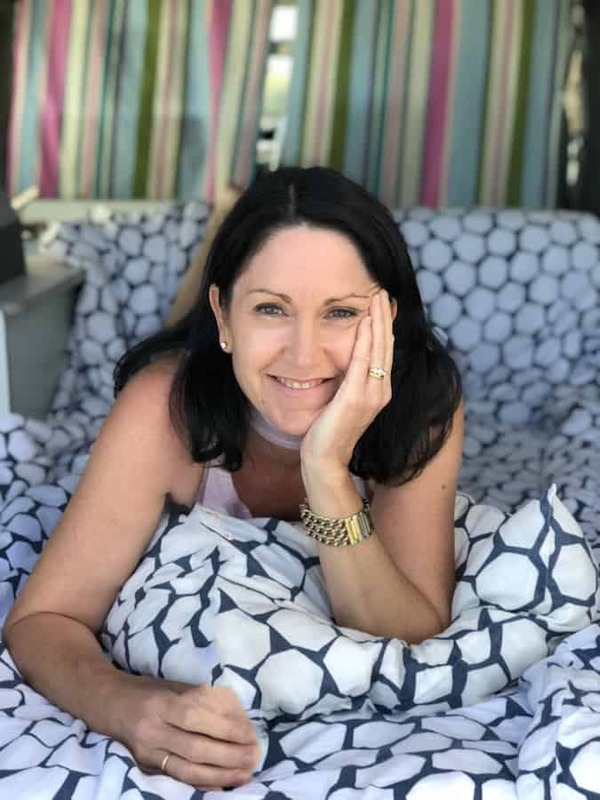 With a global set of processes that cover customer service, sourcing of food, production of food and the recruitment and training of staff, the Blue Elephant overcomes the stigma of being a chain quite easily. It produces high quality food and has built a restaurant environment that is packed full of ambience and charm. It also creates a “situational dining” experience. You might be miles away from Thailand, but you are immediately transported here from the moment you arrive. The Executive Lounge is located on level 9 and is accessible only to those who are staying at the executive rooms or suites. Access to the lounge is included in the room rate. Each day a lighter breakfast than what is available in the Oceana Restaurant is served here. This allows for a speedy breakfast, or for those who like a little more peace and quiet. It’s also the perfect place to grab a table outside on the balcony and admire the view whilst planning your day. Afternoon tea in the lounge is a small selection of cakes and pastries. When the clock strikes 6pm it’s almost standing room only at the lounge. Cocktail time brings everyone together to chat about their day and get ready for the evening ahead. The balcony space is premium real estate at this time of day. Tip: If you want to watch the sunset on the balcony, I highly recommend getting here early, around 5pm to secure a table on the balcony. Leave it until 6pm and you’ll be too late. Some table service is provided here but it’s also just as easy to serve yourself from the drinks bar. Sparkling, rose, white and red wine are available, as are a number of basic spirits. A good, if not somewhat repetitive selection of canapes are on offer also. There is plenty to love about the food at the Hilton Malta. It’s also one of the best luxury hotels in Malta in terms of its location. Whilst we were able to visit many of the restaurants during our time here, they are only a few of the ones on site. Various other bars and cafes at the hotel serve a range of food in relaxed surroundings. If you are here longer than a few days, I would definitely recommend trying them out. Just remember to book! We were a guest of Hilton Malta but as always, thoughts, opinions and recommendations are entirely our own. The foods are very delicious. Thanks for sharing.